Gout is a particular type of arthritis that targets the joints and tissues around the large toe and foot. Attacks of gout can happen sporadically, but they usually occur soon after waking up or during the night. To have a better understanding of this form of arthritis, let’s look at causes, symptoms, risk factors and how to treat gout naturally. Gout is caused by an accumulation of uric acid. Uric acid is the result of the body breaking down purines – substances naturally found in the body and the food we eat. Uric acid passes through the body through the kidneys and gets released in urine. When there is too much uric acid it can crystallize and surround joints and tissues. This can lead to redness, pain and burning sensations. Joint pain – this pain is usually around the big toe. It may also spread to the ankle, foot and knees. Discomfort – some joint discomfort may last from a few days to a few weeks. Inflammation and redness – the affected joint or joints become swollen, tender, warm and red. Limited range of motion – decreased joint mobility may occur as gout progresses. Gout can progress in four stages: Asymptomatic hyperuricemia, acute gout, interval or inter critical gout, and chronic tophaceous gout. Asymptomatic hyperuricemia: A person has high levels of uric acid in their body but they do not experience any gout-related symptoms. Treatment is not typically required at this stage and only slight damage of the tissue is caused. Acute gout: Crystals have been deposited and there is inflammation and pain. Flare-ups last between three to 10 days which can be triggered by stress, alcohol and even cold weather. Interval or inter critical gout: This is the period in between gout attacks. Urate crystals continue to be deposited. Chronic tophaceous gout: This is the debilitating form of gout where permanent damage to the joint and the kidneys occurs. 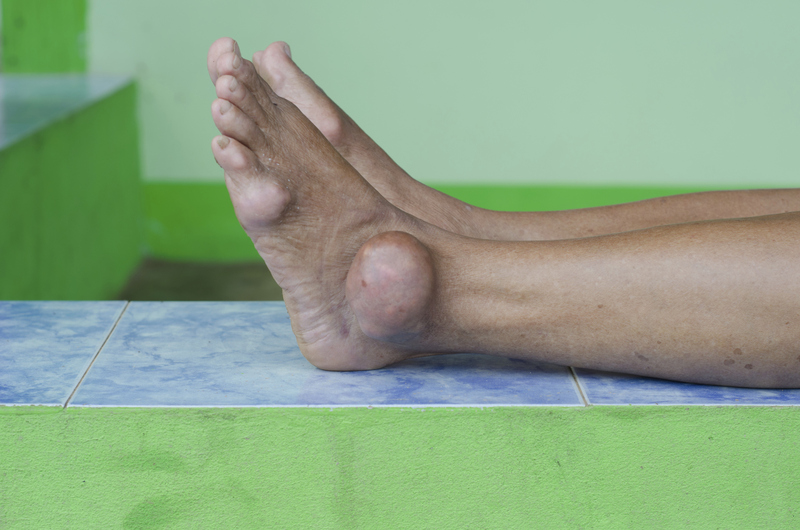 If a patient is receiving proper care it is rare that they will enter this stage of gout. Drink baking soda in water – some studies have shown baking soda can help to relieve pain associated with gout. It’s important to note that baking soda is high in sodium. Consult your doctor first. Stay hydrated – the more water you consume, the more uric acid can leave the body through urination. By following these natural remedies you can help alleviate the pain associated with gout. These tips might even prevent the onset of gout.